The 36" Wide Essentials Bookcase by Camaflexi offers generous extra wide space for organizing and safely storing your books, games and/or decorative pieces. 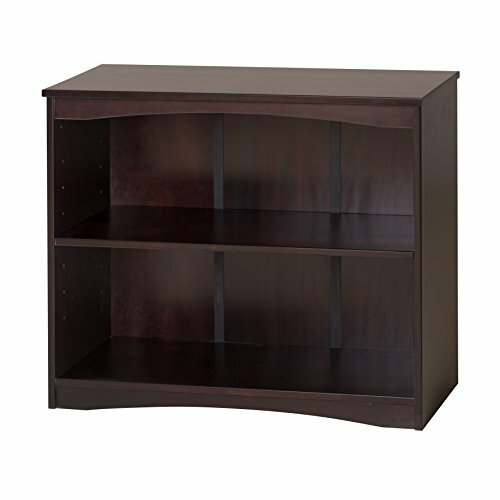 Made of solid wood, this bookcase is designed durable for many years to come. It features two shelves, one adjustable for flexibility in spacing, and one lower fixed shelf. It has a closed back that adds to the durability and prevents books from falling off at the back. Featured in a rich cappuccino finish, this simple but tastefully designed bookcase adds warmth and elegance to any room. The multi-step, non toxic, protective finish cleans easily with a damp cloth. This bookcase is designed to stand alone and/or be used as extra storage under our low loft beds.